Wesley Harris is the Charles Stark Draper Professor of Aeronautics and Astronautics and director of the Lean Sustainment Initiative at Massachusetts Institute of Technology (MIT), Cambridge, Massachusetts. From 2003 to 2008, he served as head of MIT’s Department of Aeronautics and Astronautics. Prior to that position, he was associate administrator for aeronautics at NASA (1993-1995) with responsibility for all aeronautics programs, facilities, and personnel. 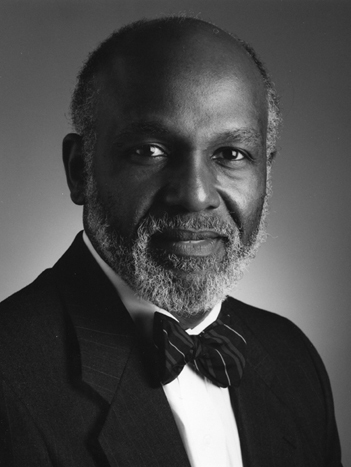 He has served as associate provost for faculty equity and was one of the four inaugural MLK Visiting Professors at MIT. From 1990 to 1993, Dr. Harris was vice president and chief administrative officer of the University of Tennessee Space Institute (UTSI), Tullahoma, Tennessee. From 1985 to 1990, he served as dean of the School of Engineering and professor of mechanical engineering at the University of Connecticut, Storrs, Connecticut. From 1972 to 1985, he held several faculty and administrative positions at MIT, including professor of aeronautics and astronautics. Dr. Harris’s academic research is associated with unsteady aerodynamics, aeroacoustics, rarefied gas dynamics, sustainment of capital assets, and chaos in sickle cell disease. He has made seminal contributions in each of those research fields. In academe, he has also worked with industry and governments to design and build joint industry-government-university research and development programs, centers, and institutes and has transferred technology effectively. Dr. Harris is credited with more than 100 technical papers and presentations. He has an outstanding record in advancing cultural diversity in academe and in government. Dr. Harris served as chair and member of various boards and committees of the National Research Council (NRC), the National Science Foundation (NSF), the U.S. Army Science Board, and several state governments. He has also been a member of committees of the American Institute of Aeronautics and Astronautics (AIAA), the American Helicopter Society (AHS), and the National Technical Association (NTA). He has served as advisor to eight colleges, universities, and institutes. Dr. Harris earned a bachelor of science degree (with honors) in aerospace engineering from the University of Virginia in 1964 and a masters of arts and a doctor of philosophy degree in aerospace and mechanical sciences from Princeton University in 1966 and 1968, respectively. He was elected a fellow of the AIAA and of the AHS for personal engineering achievements, engineering education, management, and advancing cultural diversity. Dr. Harris’s contributions to science and engineering have been recognized by his election to membership in the National Academy of Engineering (NAE), the Cosmos Club, and the Confrérie des Chavaliers du Tastevin.